Find places to stay in Hazlehurst, GA and other fun things to do. View our list of attractions, activities, events, restaurants and visitor information. 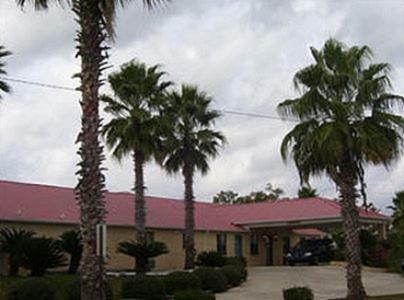 An outdoor pool free continental breakfast and rooms with convenient appliances and free Wi-Fi top the list of perks at the Americas Best Value Inn Hazlehurst. Free Internet, Swimming Pool,Outdoor Pool, Free Breakfast, Restaurant, Non Smoking Rooms. Currently as low as $48.75/night! Well-equipped rooms and a pet-friendly policy are among the features our guests enjoy at Jameson Inns Hazlehurst. The 42 rooms at the non-smoking low-rise property include cable TVs microwaves and mini-fridges. The front desk offers fax and copy services. Free Internet, Swimming Pool, Free Breakfast, Pets Allowed, Non Smoking Rooms. An outdoor pool on-site fitness room and continental breakfast serve guests at the Western Motel Inn & Suites. This two-story hotel has 40 rooms; depending on the room the hotel offers microwaves mini-fridges cable TVs and Wi-Fi access. Free Internet,Outdoor Pool, Free Breakfast.